Kesari box office collection: Akshay Kumar's film might go slow at the box office as Dharma production's Kalank and superhero flick-Avengers: End of the game are set to release on April 17. Akshay Kumar's historic drama Kesari has managed to cross Rs 150 crore benchmark in just 25 days of its release. Kesari hit the screens on March 21 and earned Rs 21.50 crore on its opening day. The film entered into Rs 100 crore club in its first week. In week 2, it collected Rs 29.66 crore, in week 3, it collected Rs 11.96 crore and on its fourth weekend, it earned Rs 3.70 crore, reported film trade analyst Taran Adarsh. The war-drama picked up an estimate of Rs 50 lakh on its fourth Monday. According to boxofficeindia.com, Kesari might go slow at the box office as Dharma production's Kalank and superhero flick-Avengers: End of the game are set to release on April 17. 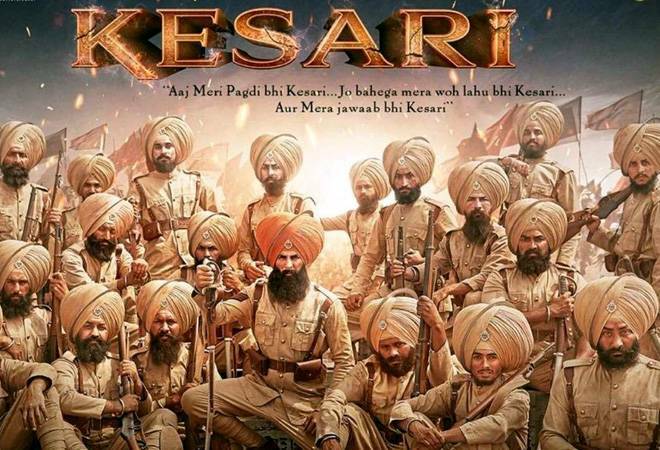 Kesari, helmed by Anurag Singh, is based on 1897 Battle of Saragarhi. The film has earned plaudits from both critics and cine-goers for its cinematography and direction. The film has become Akshay's second highest grosser after Hindi version of 2.0. Kesari is based on the story of 21 soldiers of the 36th Sikh Regiment of the British Indian Army who put up a strong fight against 10,000 Afghan troops. Every year on 12th of September, the 4th Sikh Battalion of Indian Army commemorates the battle as Saragarhi Day. The Battle of Saragarhi is one of eight stories of collective bravery in the world that has been published by UNESCO. In the movie, Akshay Kumar plays the role of Havildar Ishar Singh. Alongside Akshay Kumar, Kesari also stars Parineeti Chopra, Vansh Bhardwaj, Mir Sarwar, Jaspreet Singh, Vikram Kochhar and Vivek Saini.